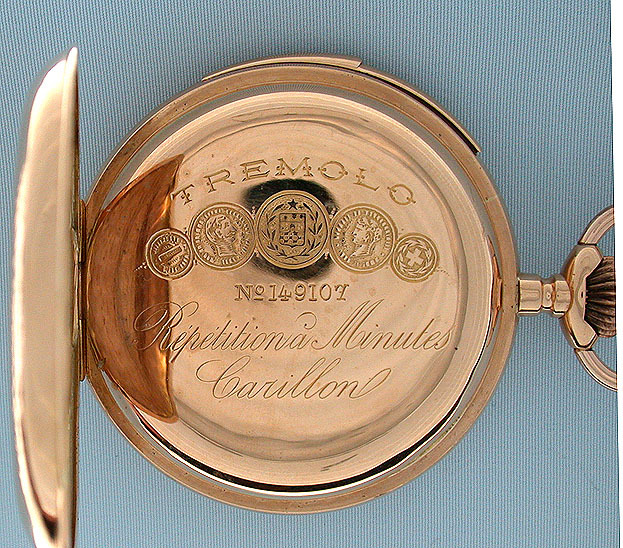 Scarce Swiss 18K gold carillon minute repeater antique pocket watch by Tremolo circa 1900. 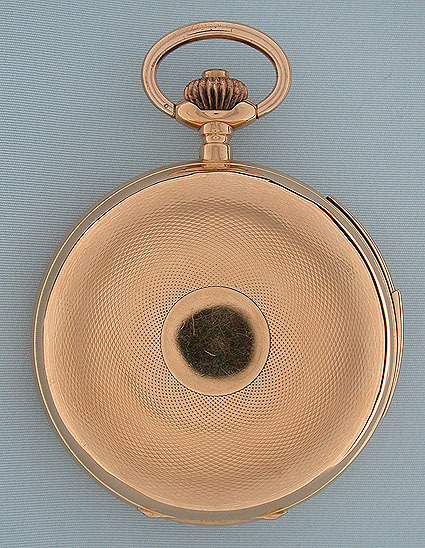 Engine turned hunting case with slide in the band to activate the repeater and gold and glazed dust covers. Lightest case wear and insignificant ding. 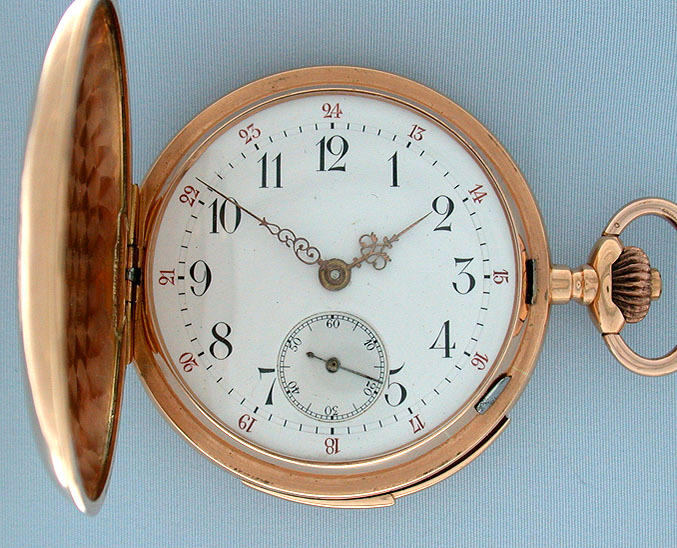 White enamel dial with red and black numbers and fancy gold hands. 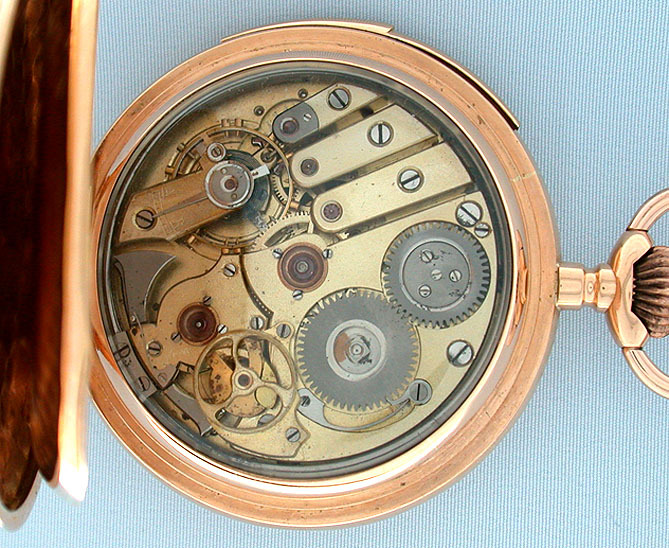 Gilt 19 jewel movement with silent governor. When activated this watch chimes the exact time using different chime tones to designate the hours, quarter hours, and minutes. Loud, clear tone. 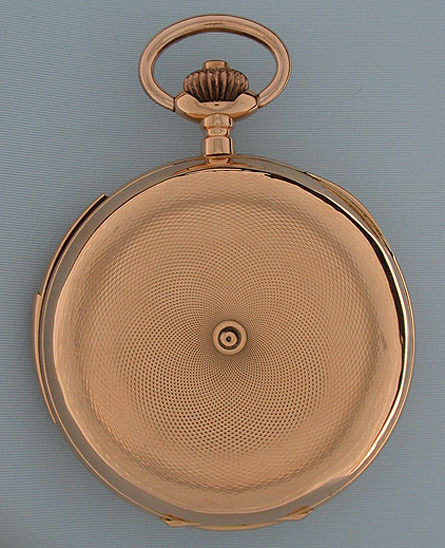 Unlike traditional repeaters, this watch chimes three tones for each quarter hour rather than the usual two tones, giving the chime a lovely musical quality.